Bowlby has been designed for use as a utilitarian, all caps display font. A version with lowercase characters is also available. It’s forms are a fusion of a handfull of designs scanned from old, early Twentieth Century type specimens. 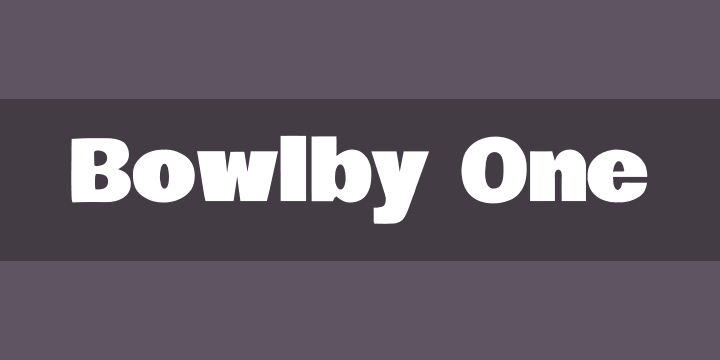 Bowlby is perfect for big Bold Headlines and displays that need a slightly roughened look. Bowlby is a webfont, designed to be used freely across the internet by web browsers on desktop computers, laptops, cloud systems and mobile devices.